Commander in Chief, Japanese Combined Fleet, to Prince Konoye, October 1940. Historians in Japan and the United States have already written much about the period between 7 December 1941 and the Battle of Midway early in June 1942, a period when the United States was on the defensive in the Pacific and U.S. policymakers were unsure how the war against Japan should be prosecuted. Using their histories as background, this study focuses on an obscure but important program, the U.S. Navy's communications intelligence (COMINT) effort, which, despite its size and the trauma of Pearl Harbor, proved to be an unprecedented, sole, and timely source of information concerning Japanese intentions and strategy. The study chronicles how, by reorganizing and redirecting its resources, U.S. Navy communications analysts engineered a spectacular triumph over Japanese naval cryptography and how the reports produced by the these analysts contributed to development of a new U.S. naval strategy in the Pacific. By intercepting, deciphering, and translating the Japanese Navy's messages that contained their order of battle, the timetables for their military operations at Port Moresby, the Aleutians, and Midway, and a myriad of vital details concerning their most secrete plans and intentions, the communications analysts were vindicated of any taint of failure from Pearl Harbor. Perhaps most importantly, this study provides an in-depth examination of what U.S. communications intelligence learned from Japanese Navy communications; how this information influenced U.S. Navy decision makers in Washington and Hawaii, who developed an American strategy in the second phase of the war; and how it affected the outcome of two historic sea battles. In the words of Admiral Chester W. Nimitz, COMINT was entitled to a "major share of the credit for the victory at Midway." The study also marks the appearance of radio intelligence detachments and linguists aboard ship. Although not the first time the idea of intercepting enemy naval communications from a floating platform had been attempted, the Battle of the Coral Sea marked the first time it had been tried by the U.S. Navy under actual wartime conditions. Evidence indicates that the contribution of this experiment to the conduct of the tactical war was important, even vital, and vindicated the wisdom of the earlier experiments. Because it was new and secret, however, it may have depended to an unworkable degree upon the relationship between the individual detachments and the task force commander. With the buildup of the Australia-New Zealand Forces (ANZAC) command in January and February 1942, the relocation of General Douglas MacArthur to Australia in mid-March 1942, and the creation of the Southwest Pacific Theater on 30 March 1942, other forms if intelligence information became available to U.S. policymakers, strategists, and tacticians. During the Battle of the Coral Sea, for example, communications intelligence and aerial photography formed an enviable partnership in support of the American task force commanders. Indisputably, however, at this stage of the Pacific war, no other source of either strategic or tactical intelligence could compare with radio intelligence. it truly gave Admiral Ernest J. 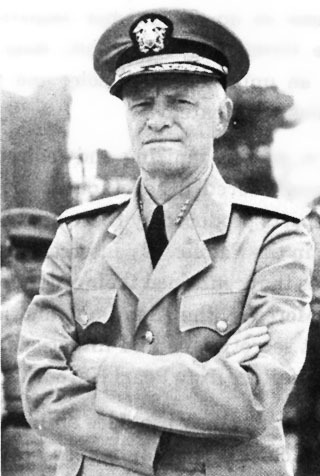 King, Commander in Chief, U.S. Fleet (COMINCH) and Admiral Chester W. Nimitz, Commander in Chief, Pacific Fleet (CINCPAC), a "priceless advantage" over the Japanese. 1. Hattori, Vol. II, 1, recorded that Admiral Yamamoto had initially issued an order on 5 November 1941, directing that Midway be captured during the second phase of the war.